News-Herald Staff Writer David S. Glasier has been playing golf for over 50 years and writing about it for over 30. Always operating on a tight budget, Glasier is on a lifelong quest to find good courses to play at affordable prices. In golf as in life, it's always best when a balance is struck. So it was on Days 3 and 4 of the four-day golf media trip to the Brunswick Islands area of North Carolina. After playing 18 holes on Day 1 and 36 holes on Day 2, the schedule on Day 3 called for a deep-sea fishing excursion in the morning on the Hurricane 2, followed by 18 holes at Farmstead Golf Links. The dock for Hurricane 2 and Farmstead both are in Calabash. Although I've spent a fair amount of time boating and fishing on Lake Erie, I'd never been fishing in any ocean. Thanks to the 4-hour jaunt aboard Hurricane 2, now I can say I've wet a line in the Atlantic Ocean. On a spectacularly nice morning, we made out way from the dock down the inland waterway and out about 20 miles away from shore. Thanks in large measure to the efforts of "Captain Sharkie'' and his crew, we caught a lot of fish and had a heckuva good time doing it. The main catch was sea bass, a good eating fish that currently is out of season and must be released when caught. We got Farmstead at 1 p.m., had lunch and got back to golfing on a fine, links-style layout designed by William Byrd. The feature hole at Farmstead is the par-6 18th. It plays anywhere from 635 yards to 767 yards. With a nudge from director of golf and playing partner Jason Monahan, we played from the tips. It's a great hole, not gimmicky in any way. There is water along most of the left side of the hole, which doglegs left. As Monahan is fond of telling first-time visitors, the 18th is so long it takes two states to hold it. Farmstead straddles the state lines of North Carolina and South Carolina. The 18th hole does, indeed, roll through both states. 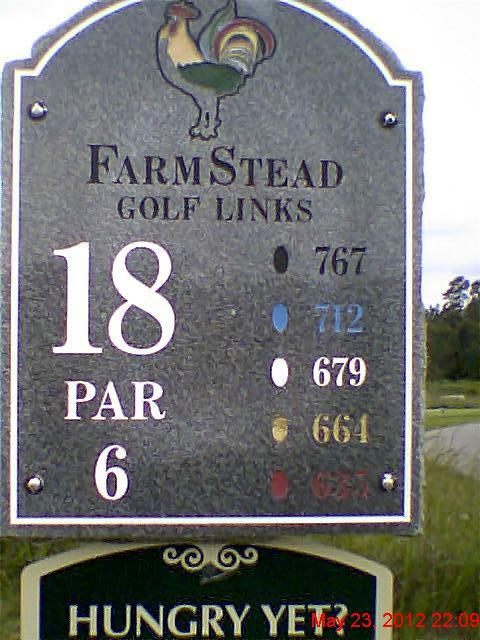 There is more to Farmstead than the 18th, much more. There are plenty of top-notch holes, great greens and a design that is pleasing to the eyes. The trip ended on a decidedly upbeat note at Tiger's Eye, one of four courses at Ocean Ridge Plantation. As a group, the courses are called "The Big Cats.'' The others are Leopard's Chase, Lion's Paw and Panther's Run. 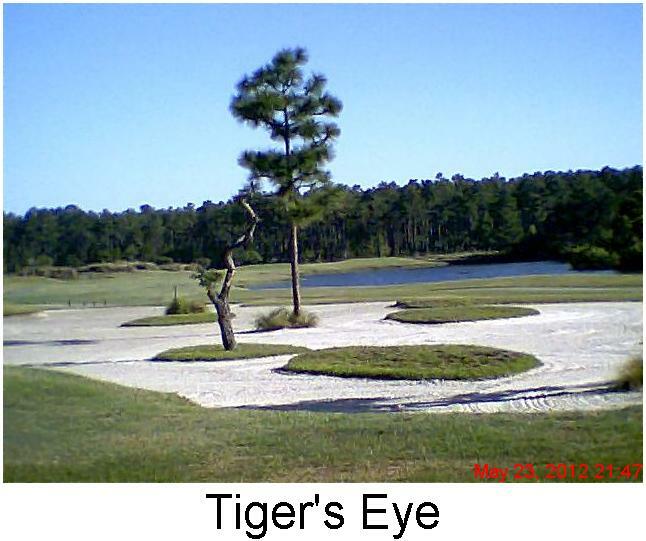 Ocean Ridge's director of marketing, Bill Long, said that Tiger's Eye is the easiest of the four courses. I'll take his word for that, but I thought Tiger's Eye was a superb test in every way. For that matter, I'd love to return to the Brunswick Islands area for second visits to all of the courses we sampled on this trip and as many of the area's other 30 or so courses as humanly possible. As for the aforementioned balance, I'll also carve out time to stroll on the ocean shore, visit some of the restaurants and shops and chill out in this laid-back neck of the woods.